to be joining Initiative Melbourne as managing director. Initiative Sydney has axed the general manager role with Nick Wokes made redundant as a result. A spokesperson for the agency said his departure comes as Initiative adapts its structure and continues to evolve its competitive position in market. Geoff Clarke, Initiative Australia COO, will extend his responsibilities to include the Sydney office and client leadership, effective immediately. “We thank Nick Wokes for his energy, passion and contribution over the past two years and wish him the best of good fortune in the future,” an Initiative spokesperson said. Wokes had been at the IPG Mediabrands-owned agency for two years, joining from Drifter. 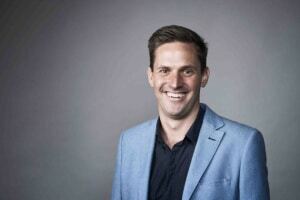 He previously held roles at Zenith, Match Media and MediaCom. Posting to LinkedIn, Wokes said he’s now open for new opportunities. “Having recently finished at Initiative, I’m excited to use the next couple of months to spend time helping out on lots of different and interesting projects. The shakeup comes shortly after Sarah James was revealed to be joining Initiative Melbourne as managing director.